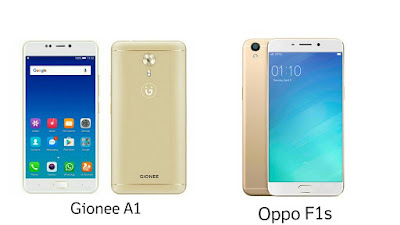 Both Phones has Metal body, Fingerprint Scanner on the front, 16MP Front and 13MP Rear Camera. Gionee A1 comes in Gray, Black and Gold color priced at Rs 19,999. Oppo F1s comes in Golf, Silver color priced at Rs 15,999 for 3GB RAM and Rs 18,990 for 4GB RAM model.